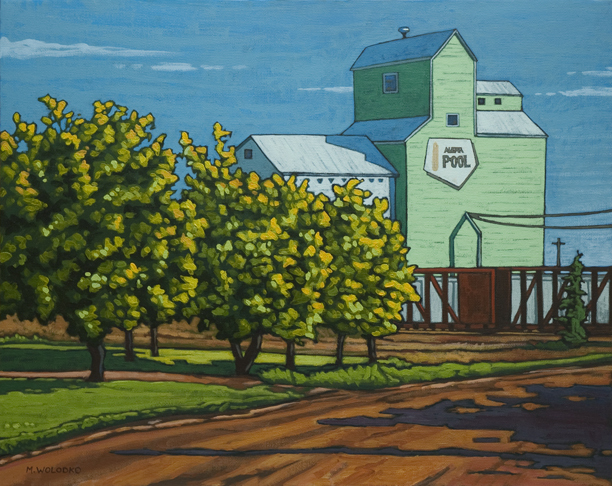 Another trip to Mayerthorpe means another painting of the elevator. From a new angle. With different lighting. 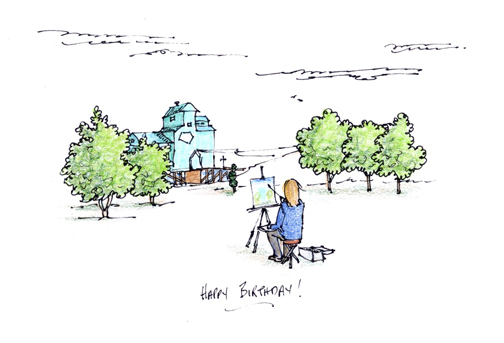 I just had to share this beautiful birthday card that I received from my friend and fellow artist, Cynthia Thom. 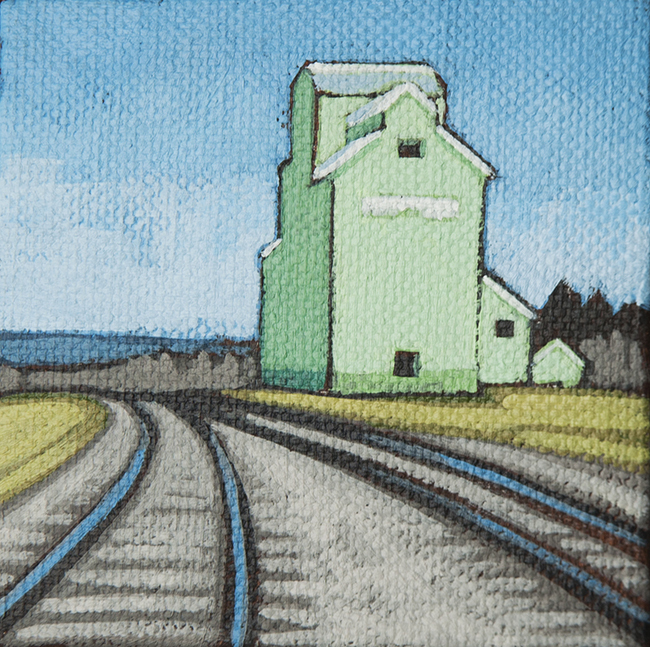 Although she has never seen the elevator in my home town of Mayerthorpe, she has captured it just right – complete with the railcars in the front. You can have a look at my elevator paintings here and here. 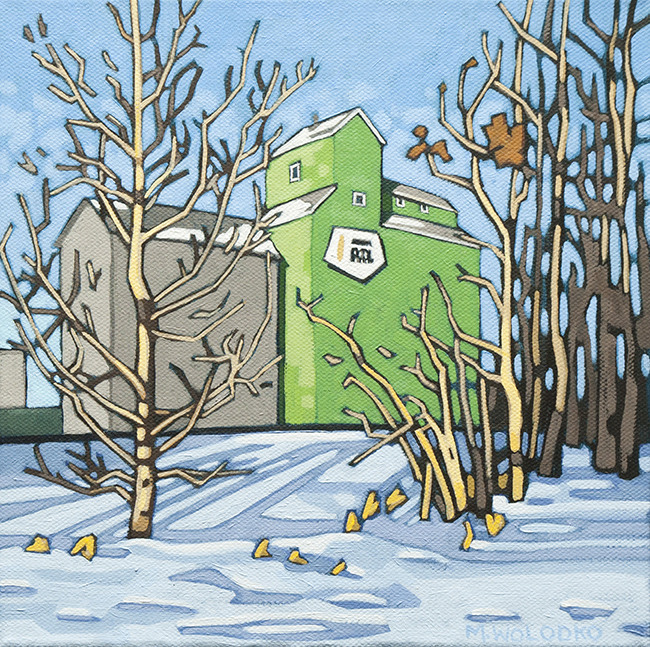 Once again it’s the Mayerthorpe Grain Elevator, and it’s from almost the same angle as my previous painting, but at a much colder time of year. 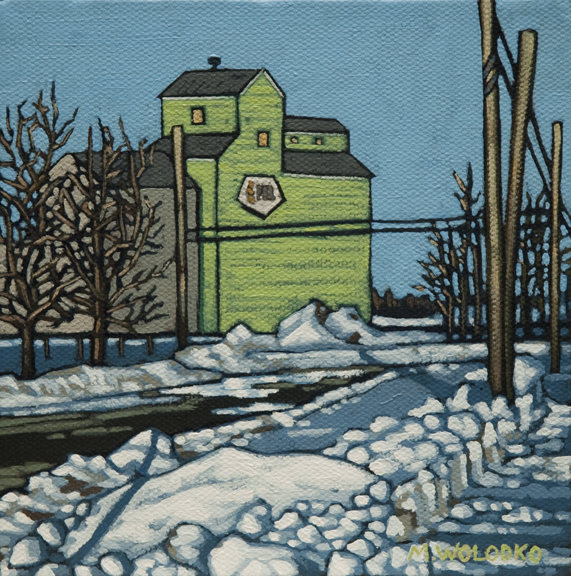 This is the grain elevator in my hometown of Mayerthorpe, Alberta. It’s the second time I’ve painted it. 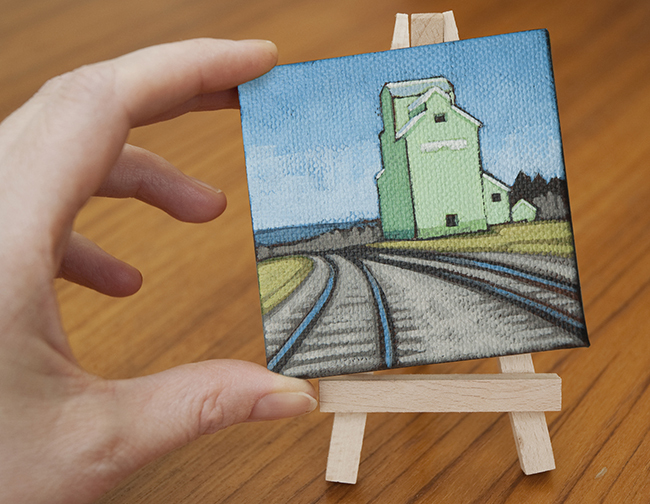 The first one I painted recently found a home with a long-time friend— you can see it here. This elevator was built in 1929 and is now a historical sight. P.S. I just had to include a link to these great cardstock elevator sculptures (including Mayerthorpe)—check out this blog Vanishing Sentinels.